How about this for a New Rule: Not everything in America has to make a profit. It used to be that there were some services and institutions so vital to our nation that they were exempt from market pressures. Some things we just didn’t do for money. The United States always defined capitalism, but it didn’t used to define us. But now it’s becoming all that we are. Did you know, for example, that there was a time when being called a “war profiteer” was a bad thing? But now our war zones are dominated by private contractors and mercenaries who work for corporations. There are more private contractors in Iraq than American troops, and we pay them generous salaries to do jobs the troops used to do for themselves ­– like laundry. War is not supposed to turn a profit, but our wars have become boondoggles for weapons manufacturers and connected civilian contractors. Prisons used to be a non-profit business, too. And for good reason –­ who the hell wants to own a prison? By definition you’re going to have trouble with the tenants. But now prisons are big business. A company called the Corrections Corporation of America is on the New York Stock Exchange, which is convenient since that’s where all the real crime is happening anyway. The CCA and similar corporations actually lobby Congress for stiffer sentencing laws so they can lock more people up and make more money. That’s why America has the world;s largest prison population ­– because actually rehabilitating people would have a negative impact on the bottom line. But maybe they aren’t. Because unlike in Cronkite’s day, today’s news has to make a profit like all the other divisions in a media conglomerate. That’s why it wasn’t surprising to see the CBS Evening News broadcast live from the Staples Center for two nights this month, just in case Michael Jackson came back to life and sold Iran nuclear weapons. In Uncle Walter’s time, the news division was a loss leader. Making money was the job of The Beverly Hillbillies. And now that we have reporters moving to Alaska to hang out with the Palin family, the news is The Beverly Hillbillies. And finally, there’s health care. It wasn’t that long ago that when a kid broke his leg playing stickball, his parents took him to the local Catholic hospital, the nun put a thermometer in his mouth, the doctor slapped some plaster on his ankle and you were done. The bill was $1.50, plus you got to keep the thermometer. But like everything else that’s good and noble in life, some Wall Street wizard decided that hospitals could be big business, so now they’re run by some bean counters in a corporate plaza in Charlotte. In the U.S. today, three giant for-profit conglomerates own close to 600 hospitals and other health care facilities. They’re not hospitals anymore; they’re Jiffy Lubes with bedpans. America’s largest hospital chain, HCA, was founded by the family of Bill Frist, who perfectly represents the Republican attitude toward health care: it’s not a right, it’s a racket. The more people who get sick and need medicine, the higher their profit margins. Which is why they’re always pushing the Jell-O. Because medicine is now for-profit we have things like “recision,” where insurance companies hire people to figure out ways to deny you coverage when you get sick, even though you’ve been paying into your plan for years. When did the profit motive become the only reason to do anything? When did that become the new patriotism? Ask not what you could do for your country, ask what’s in it for Blue Cross/Blue Shield. If conservatives get to call universal health care “socialized medicine,” I get to call private health care “soulless vampires making money off human pain.” The problem with President Obama’s health care plan isn’t socialism, it’s capitalism. And if medicine is for profit, and war, and the news, and the penal system, my question is: what’s wrong with firemen? Why don’t they charge? They must be commies. Oh my God! That explains the red trucks! 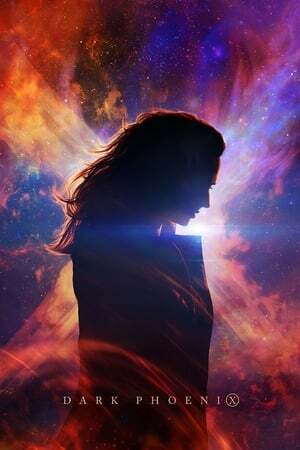 trailer film Dark Phoenix 2019, watch full film Dark Phoenix 2019, Watch Dark Phoenix 2019 Online 123movie, Dark Phoenix 2019 Watch Online, Watch Dark Phoenix 2019 Online 123movies, Dark Phoenix 2019 movie download, Watch Dark Phoenix 2019 Online Free netflix, watch Dark Phoenix movie now, Watch Dark Phoenix 2019 Online Free Putlocker, Dark Phoenix 2019 movie, watch Dark Phoenix 2019 film online now, streaming Dark Phoenix film, Watch Dark Phoenix 2019 For Free online, movie Dark Phoenix, Watch Dark Phoenix 2019 Online Megashare, watch full Dark Phoenix movie online, Watch Dark Phoenix 2019 Online Free Viooz, watch full Dark Phoenix 2019 film online, film Dark Phoenix 2019 download, Watch Dark Phoenix 2019 Online Free megashare, watch film Dark Phoenix now, film Dark Phoenix trailer, Dark Phoenix 2019 live streaming movie, streaming movie Dark Phoenix, live streaming film Dark Phoenix online, streaming Dark Phoenix 2019, Streaming Dark Phoenix 2019 For Free Online, Watch Dark Phoenix 2019 Online Putlocker, Watch Dark Phoenix 2019 Online Viooz, Watch Dark Phoenix 2019 Online Free 123movie, download Dark Phoenix 2019 movie now, Streaming Dark Phoenix 2019 Online Free Megashare, Watch Dark Phoenix 2019 Online Free hulu, download full film Dark Phoenix, movie Dark Phoenix 2019 streaming, live streaming movie Dark Phoenix online, Watch Dark Phoenix 2019 Online Free. How low can you go, McCain? McCain’s campaign is all over the place. Picking the inexperienced Alaskan Governor Sarah “Barracuda” Palin1for his Vice Presidential running mate is the political equivalent of peeing in your pants to get attention. John McCain was getting no press coverage. Obama ran a political home run last night and McCain could not stand it, so he chose to announce his vp candidate, a token woman. And I emphasize the use of lower case ‘vp’ on purpose. This signifies what is to come for her if they should win office. She will be the token woman aiding McCain into the White House but quickly disregarded on every level of decision making once there. She will undoubtedly become the scapegoat for all that goes wrong and the puppet through which the greedy, power-hungry people will do their opportunistic bidding. Can you imagine how far back this will set the country, let alone the fight for equal opportunities for women? Her inexperience will be the folly that adds fuel to the anti-American rhetoric abroad, as well as the anti-feminist movement. This is such a slap in the face to anyone who wanted Hillary to break through the glass ceiling. Her support did not come from just being born a woman. That was a side note, an added bonus if you will, to people who do wish women had equal rights and equal opportunities. However, I digress, despite my urges to explain in detail how important equality is today (and always), I will get back on topic. Hillary has experience and cares about this country. She has made positive, real change in our country’s policies, especially with regards to health care for children. Now, I am not saying Palin has not done anything positive, I do not know what she has done, yet. What I am saying is as a feminist, I am cringing. And as a political citizen, I am retching. The fact that very little is known about her works in the McCain camp’s favor but against logical reasoning. She is wet behind the ears politically speaking, what if something happens to McCain? Is she really ready to become president? The irony almost goes without saying, almost. McCain has attacked Obama for months now on his “inexperience” while stealing his ideas only a few days later and now he chooses someone with even less experience? This defies logic, unless the logic is to gain political attention and perhaps the attention of some fringe voters completely fixated on getting any woman into the White House at any cost.